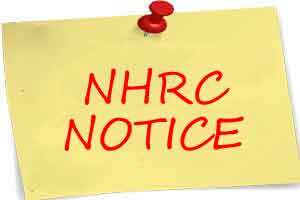 The National Human Rights Commission(NHRC) has called for a report from the Odisha government over the death of woman and her son due to lack of medical facilities at a health centre in Cuttack district. According to the commission, which took cognizance of the issue through media reports, Bharat Nayak of Cuttak district lost his ailing wife and his 24-year-old son in quick succession — on May 10, and May 11, 2016, respectively. His son could not be shifted in time to a Government Hospital with proper facilities in Cuttack, and he had no money to afford treatment at a private hospital. The commission observed that Bapi, the son of Bharat Nayak, was suffering from spinal disorder. His condition continued to deteriorate as the health centre was not equipped to treat him. His father took him to Cuttack but returned as he could not arrange more than Rs. one lakh required for the treatment. “Even as the body of his wife, who died due to heart attack, was lying at his home, Bharat was looking for divine intervention to save his son,” said the commission. The man took his son to a nearby temple, even as his wife’s body was on a funeral pyre with the assistance of Rs. 2,000 from the State Government. “On hearing this, some local people persuaded Bharat to take his son back to the Health Centre where he eventually died, even as Rs. 3,000 was arranged through Red Cross to shift him to Cuttack for treatment,” said the commission. The Commission observed that the incident raises serious concerns about the prevailing healthcare facilities in Odisha. “The commission has issued a notice to the Secretary, Department of Health and Family Welfare, Government of Odisha calling for a report on the condition of the health services in the State and about the non-availability of the ambulance services at Athagarh Health Centre,” said the statement from NHRC.